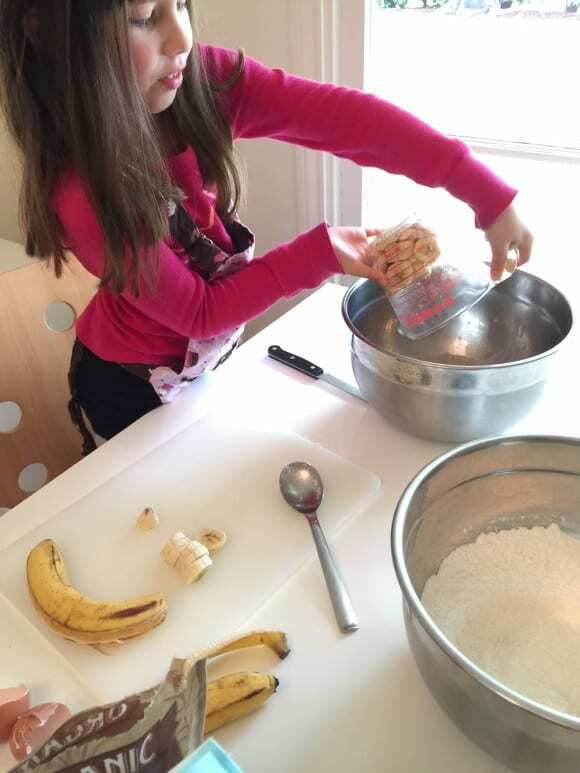 My daughter loves to bake and has been baking with me since she was a toddler. It's one of our favorite activities to do together, especially on a rainy day (hence the slightly darker photos). But let's face it, cooking with kids, is a messy proposition. 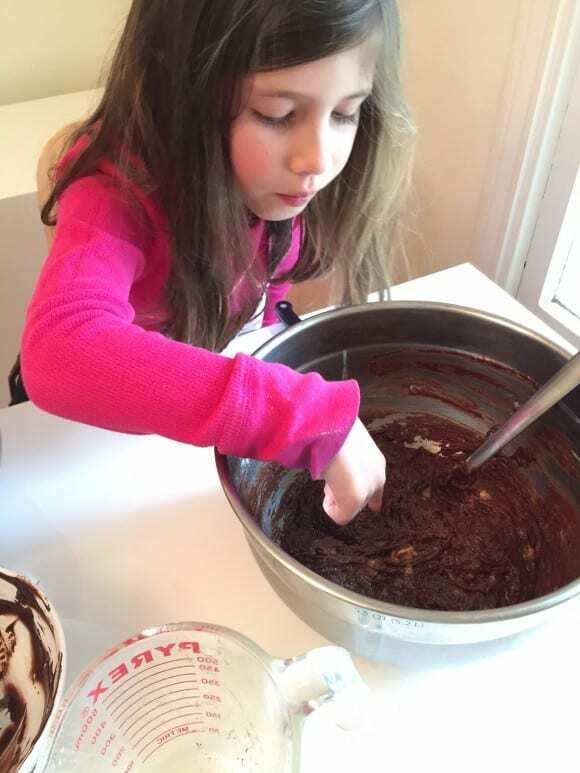 So when we were asked by Bounty to help introduce their new Bounty with Dawn Paper Towels, I couldn't think of a better way, than to start baking with Lainey! 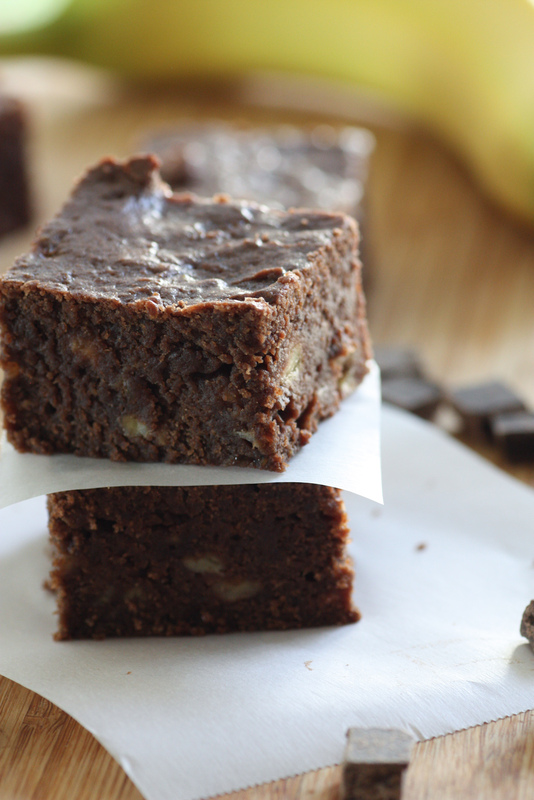 Enter our delicious and easy chocolate banana brownie recipe. 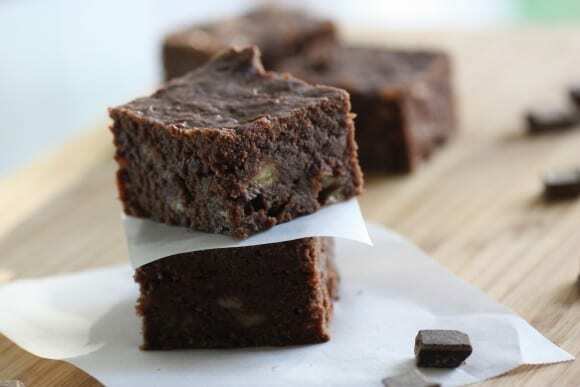 What's great about these brownies is they are moist, chocolatey, filled with lots of banana, and not too sweet. We used dark chocolate and a healthy pinch of salt to give them a nice balance and a deeper complexity of flavor. Preheat your oven to 350F, and grease a 9x9 inch pan with butter. Add the dry ingredients, flour, salt, and baking powder to a mixing bowl, and stir until the ingredients are thoroughly combined. Melt the butter (about 30 seconds in the microwave), and let it cool. Add the butter, eggs, brown sugar, and vanilla to a second mixing bowl. The easiest way to melt chocolate is to put it in a microwave safe bowl, and heat on high for 20 seconds. Stir and heat for another 10 seconds. Repeat until it is smooth. 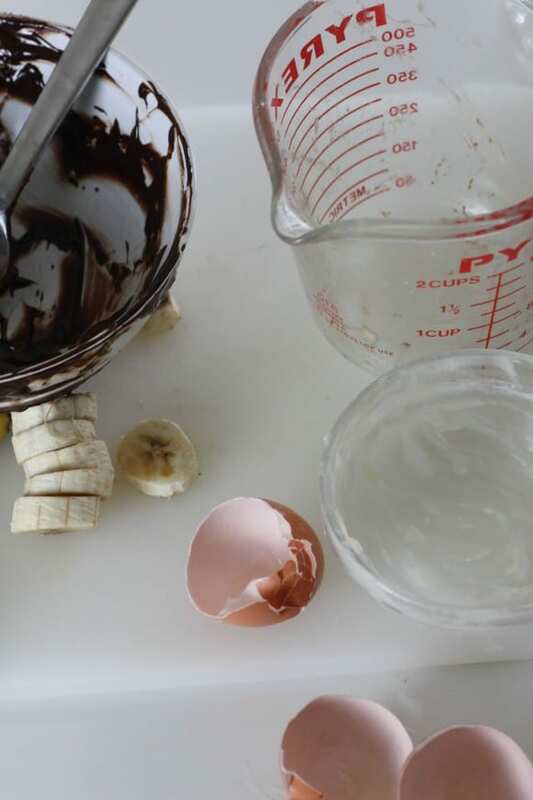 Add the melted chocolate, and 1 1/2 cups of bananas. You can the dry ingredients all at once. Stir with a fork until just combined. 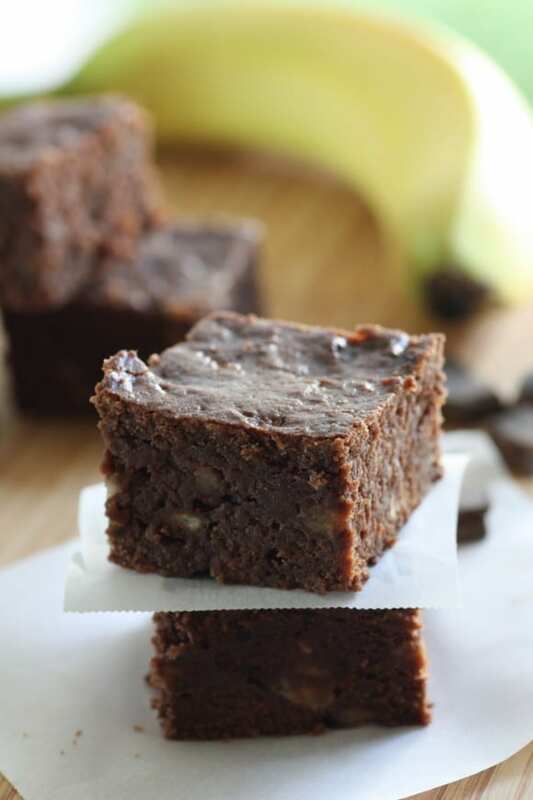 Break up any large chunks of banana. But after all the measuring, mixing, and tasting, we were left with this... the mess. But now I've got a new ally in my war on mess --Bounty with Dawn. 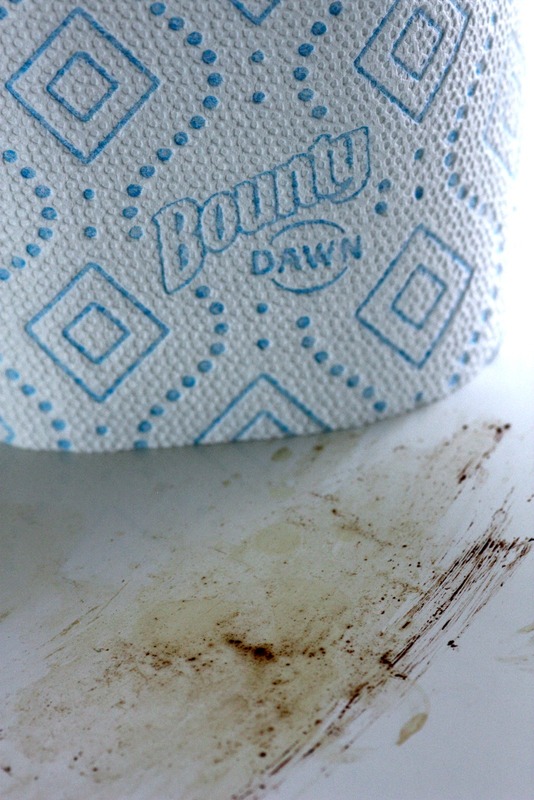 Our paper towel brand of choice is always Bounty. I love how tough they are, plus the "select-a-size" helps us all not be wasteful. So with the new Bounty with Dawn, all you do is wet a sheet and it's ready to use. 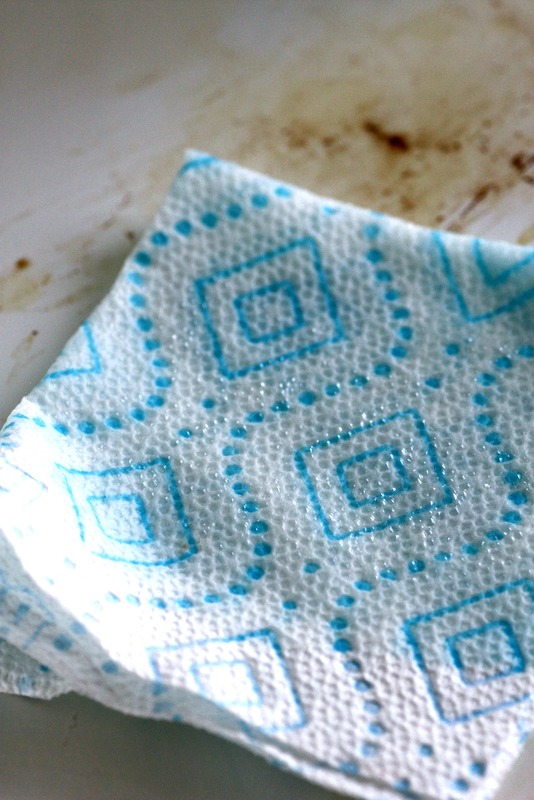 It's been designed to be more powerful than just a paper towel and soap. It's meant to clean greasy pots and pans, countertops, and tabletops. Plus you can use it to clean mirrors, glass cooktops, or other shiny surfaces without streaking, by just running it under the faucet a little longer and squeezing out the excess water. The best part I found, is that because it's Bounty, it's strong and won't rip, even after rinsing it out a few times. It tackled my mess beautifully and quickly and smells good too. So here are the brownies right out of the oven. 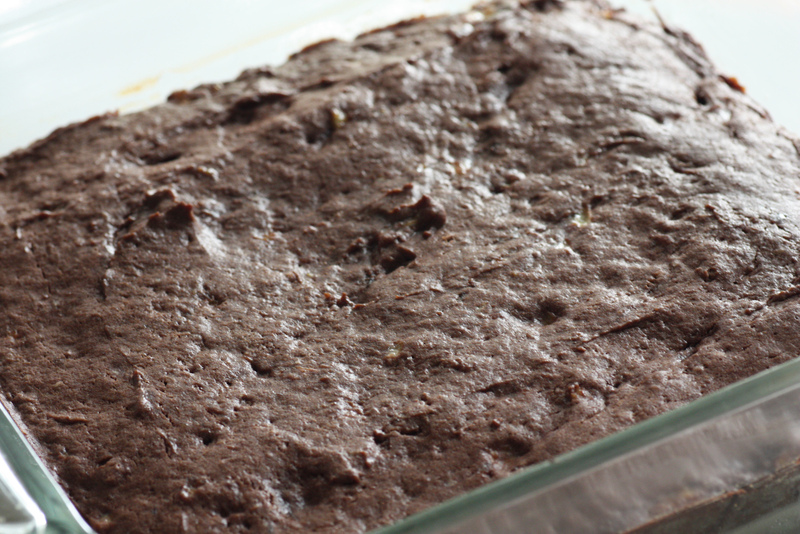 And here's the final product, so delicious and moist. Btw, I think there are only three left at the moment. Disclosure: Compensation was provided by Bounty. But all opinions and ideas expressed in the post are all mine!